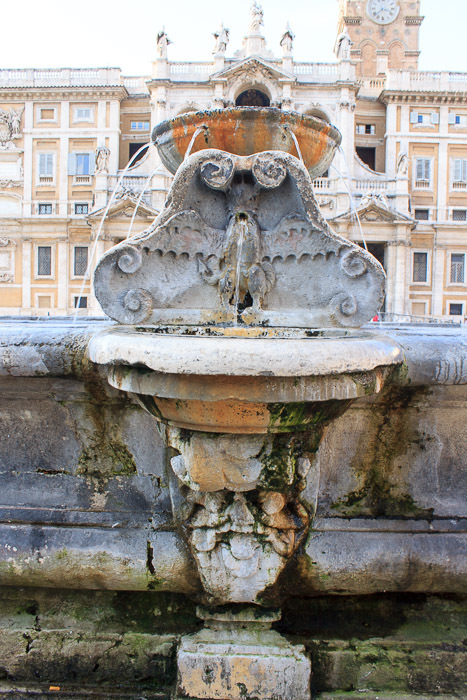 This large and relatively bland basin, attached to one side of the Column of Peace was ordered by Pope Paul V to replace a fountain placed here during the Middle Ages. 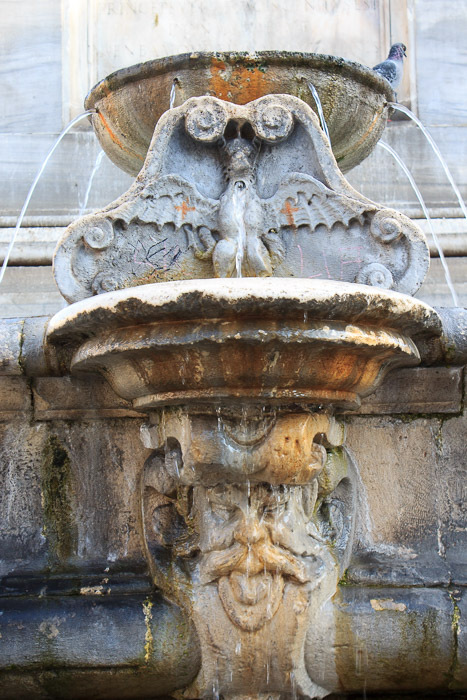 Originally, the basin was of an irregular oblong shape with two small "eagle" water fountains on the longer sides and, in between, at the curved ends, two large dragons. The eagles can still be seen above the masks, but the dragons disappeared according to records in the 19th century. 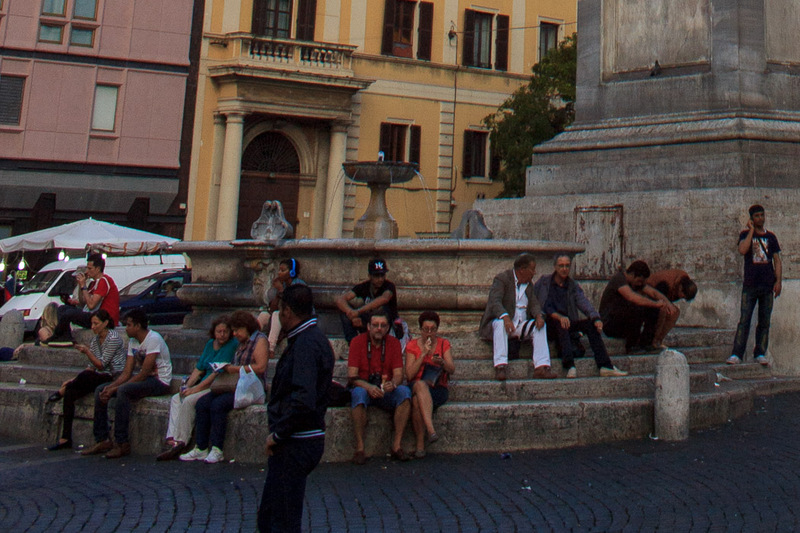 The fountain and the column are located on the side of Santa Maria Maggiore furthest from Via Cavour. 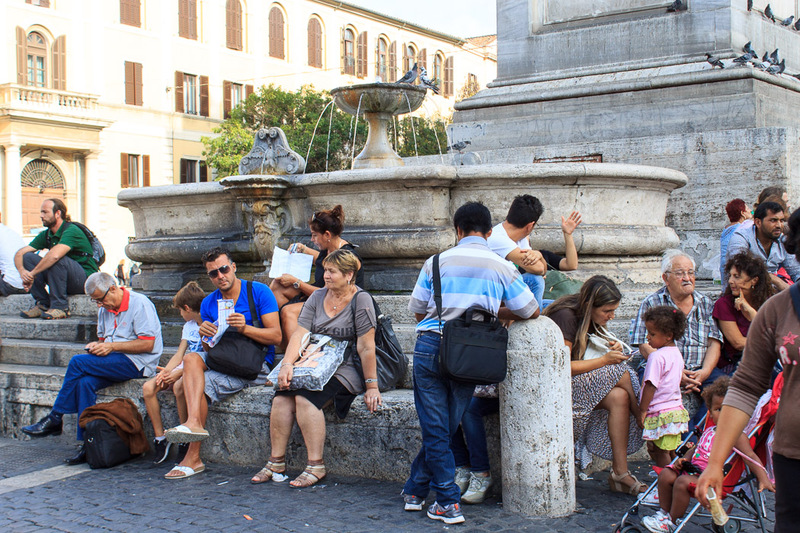 See all Fountain of Santa Maria Maggiore photos.